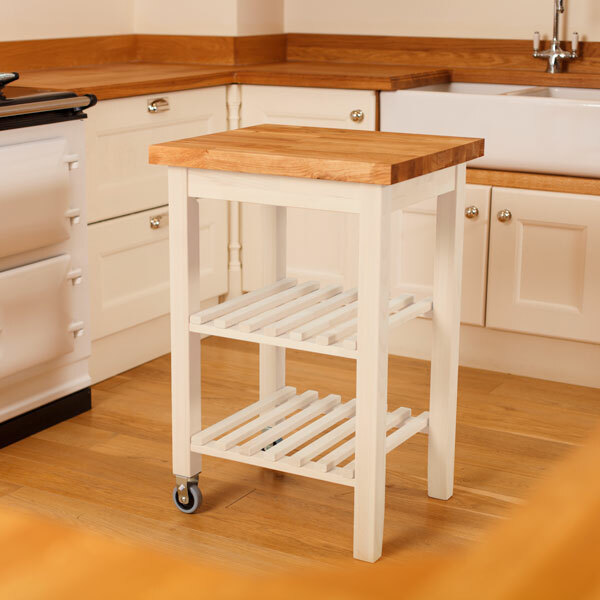 If you are looking for a versatile new accessory for your kitchen that provides extra room for food preparation along with additional storage space, then why not consider one of our butchers block trolleys? 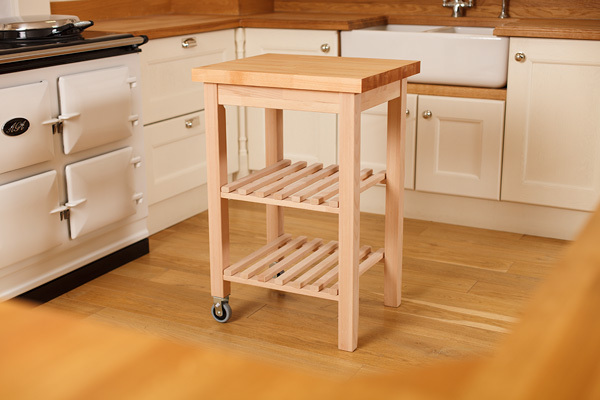 Each wooden kitchen trolley is constructed from solid beech timber, and comes in either a lacquered finish with a matching 40mm thick solid beech worktop, or in a painted finish with a 40mm thick solid oak worktop. 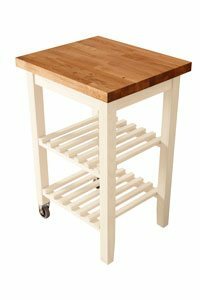 Two wheels on the base make the butchers block trolley both portable and easy to manoeuvre, whilst two slatted shelves provide storage space that is ideal for pots and pans, food or anything else you might need to have close at hand. 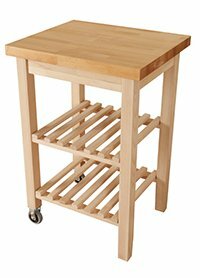 These rolling kitchen island trolleys measure 580mm (L) x 500mm (W) x 850mm (H), with a worktop measuring 580mm (L) x 500mm (W) x 40mm (H) — large enough to expand your available worktop space, but not so big as to clutter your kitchen. 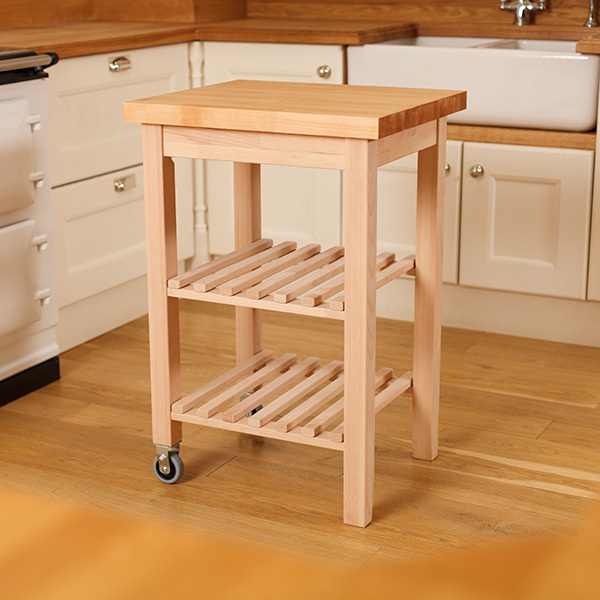 Free Delivery: All of our butchers block trolleys are available for next-day delivery if ordered before 12 noon and - even better - this service is offered free-of-charge. Our nominated courier service, DPD, covers the vast majority of the country, and delivers between 8am and 6pm (Monday to Friday). If you would like to provide us with your telephone number and email address, we can notify you of your 1-hour time slot and the name of your delivery driver. Please note, this service requires a signature at the time of delivery, and surcharges may apply to certain areas (which will be shown during checkout but before payment). Reviews: We pride ourselves on delivering fantastic customer service, and are very pleased to have received a wealth of positive feedback from our customers. We currently hold a 5 star rating on Trustpilot which is calculated on the basis of over 10,000 customer reviews. For more information, please view our customer reviews page. Returns: We make every effort to ensure that our customers are delighted with their purchases. In the unlikely event that the item is not as expected, or if you change your mind once you have received the goods, we offer a convenient returns service. We can provide a collection service, or alternatively the goods can be returned to our warehouse. Unless faulty, we require notice that you would like to return an item within fourteen calendar days of delivery. Exceptions apply to certain products (such as bespoke items); please visit our returns section to learn more. 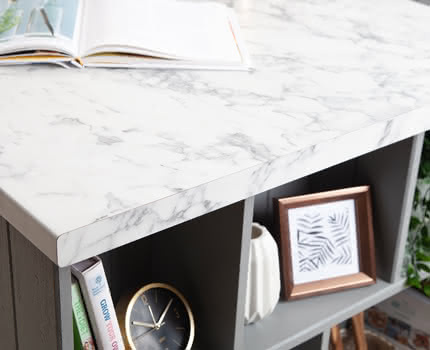 We stock in excess of 10,000+ worktops at any one time, encompassing the largest range of species and sizes available in the UK. 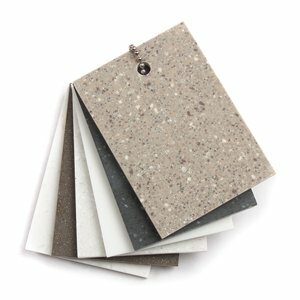 Our large range incorporates 20 types in a variety of lengths, widths and thicknesses: it truly is a selection to suit all budgets and requirements. Live stock system that is updated 24 hours a day, 7 days a week. We operate our own nationwide 2Man Delivery service. Next Day Delivery available on orders placed before 12 noon. 45,000+ orders delivered in 2015. 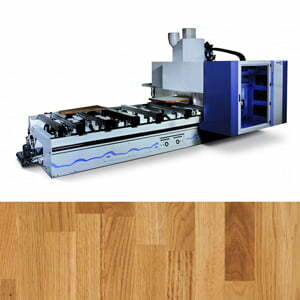 All worktops are manufactured in Europe. 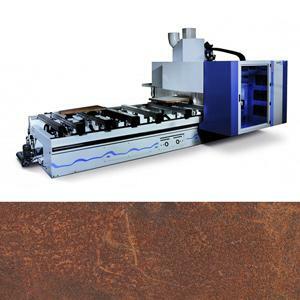 We use the latest CNC machinery to ensure our demanding standards are met. 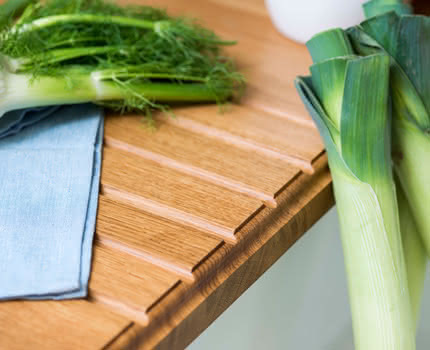 Only the highest-quality, A-grade, sustainable timber is used to manufacture our wooden worktops. 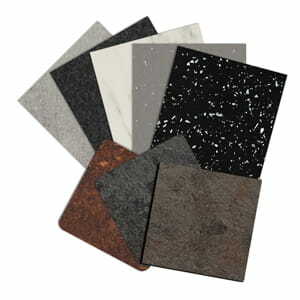 We offer a next day sample service - try before you buy! Affordable bespoke cutting & installation service. 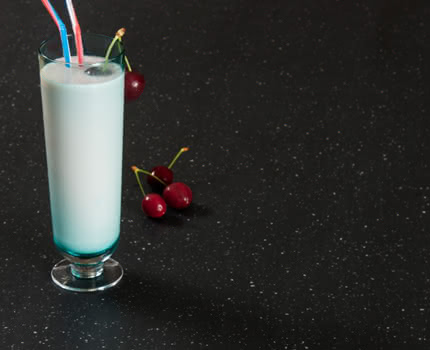 Our entire worktop range is available at extremely low prices, saving you over 75% when compared to the high street. We are a company that prides itself on customer service. Dedicated sales and customer service helpline. We import the goods directly. The goods are subject to thorough assessment to ensure these meet the high standards we expect. 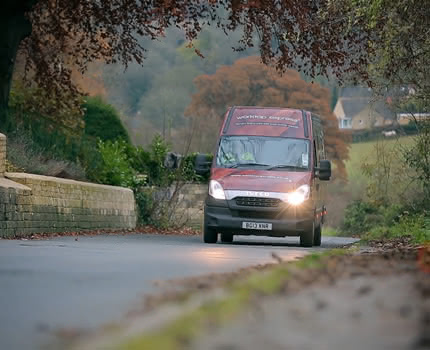 We facilitate the majority of our own deliveries using our dedicated 2Man delivery service. We offer a comprehensive bespoke cutting & installation service. 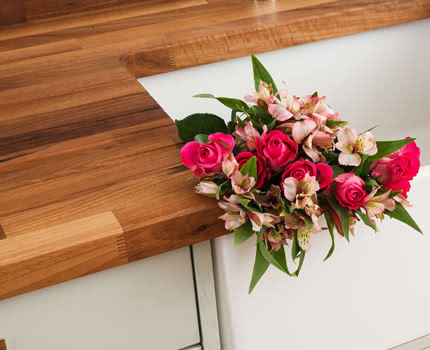 Worktop Express have supplied over 285,000 customer orders since inception. 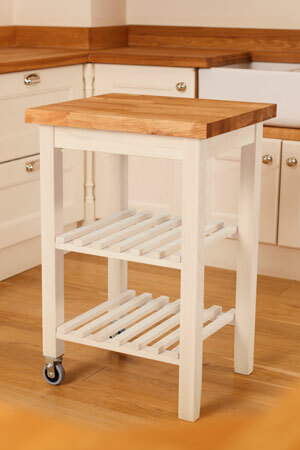 The quality of our goods, workmanship and service simply cannot be beaten. 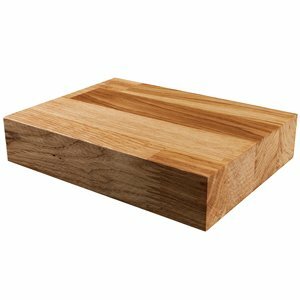 We are true experts in the field of solid wood and are highly passionate about this wonderful natural material. 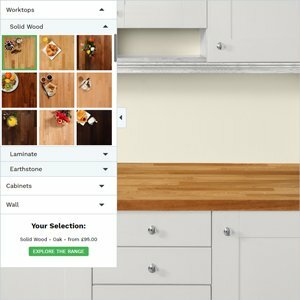 Worktop Express®: the UK's leading online solid wood worktop specialist. 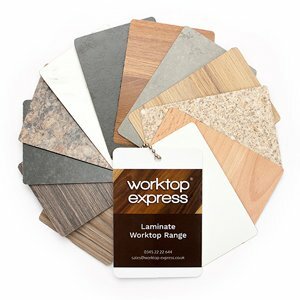 Worktop Express is a distribution company in the true sense of the word and thus cost-effectiveness is built into our business model. 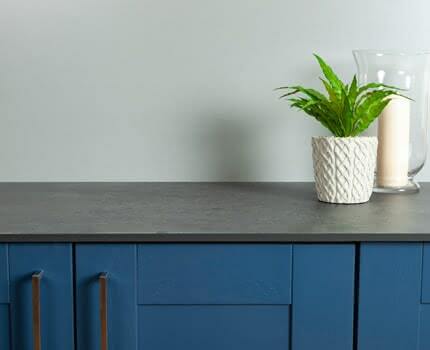 Our large stock holding - over 10,000+ worktops in stock at any time across our distribution network - and sheer purchasing power dictates that the prices we can provide direct to the public and trade are extremely competitive. We do not share the same overheads as high-street stores (on average an initial 270% markup tends to be applied just to cover warehousing and staff costs) and therefore can achieve similar profit margins without overcharging customers. Our direct internet delivery model allows us to minimise costs in relation to retail premises and storage as our advanced stock ordering and handling process limits the amount of 'dead-stock'. With Worktop Express there is simply no middleman: we even operate our own in-house 2Man delivery service to maximise efficiency. 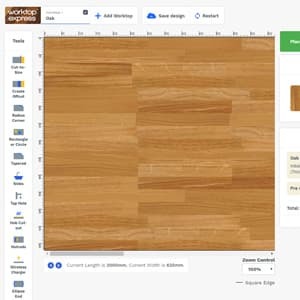 When you choose Worktop Express, you are choosing a group of specialists who devote their expert attention to every step of the process and are single-handedly responsible for sourcing, stocking, marketing and distributing the product. Ensuring that we are the only link between the customer and manufacturer allows us to offer the most up-to-date products for lower prices than any other online retailer.